In June 2018, marine officials in Thailand went through a five-day effort to save a pilot whale that ingested 8 kgs. of plastic trash. It vomited five bags but still died. Months before, a sperm whale was found in Spain with nearly 30 kgs. of trash in its digestive system. The numbers continue to grow—and it’s both appalling and disgusting. Just last Saturday, 40 kgs. (or 88 pounds) of plastic trash was recovered from the stomach of a dead beaked whale that washed ashore in Sitio Asinan, Brgy. Cadunan in Compostella Valley. The whale was discovered by the team of Darrell Blatchley, a marine biologist, who runs a natural history museum in Davao that doubles as a non-government organization called the D’ Bone Collector Museum. In a Facebook post, Blatchley said the death of the whale, which he identified as a juvenile male curvier beaked whale, was caused by dehydration and starvation. His team found 16 rice sacks, four banana plantation bags, and multiple shopping bags in its stomach. “All stomach compartments” also happen to be full of plastics and sacks in varying shapes and sizes, showed the results from the necropsy conducted by Blatchley and the Bureau of Fisheries and Aquatic Resources-Fishery Management Regulatory and Enforcement Division. A week ago, reporters found that “more than 300 million tons of plastics are produced annually” and at least five trillion of it are just floating in our oceans. 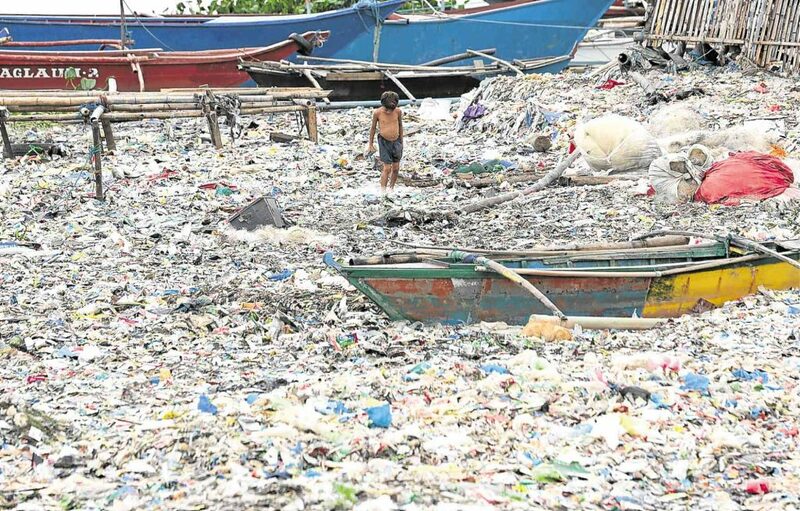 A group of British researchers told them that in the eastern part of the Philippines, 100 percent of the animals they had studied contain plastic fibers in their digestive tracts. As we said before, if this does not in any way alarm or disgust you, I don’t know what else will.